In 2018 we had over 300 athletes play with us-from college recruits to beginners. We look forward to having you join us this summer! Founder Chrissy walks you through our field hockey only camps. 2, 3 and 5 day options available. 2nd-12th grade, beginner to performance camps. We have many options for field hockey this summer! From a 3 day goalkeeper camp with a Division I coach to our "Make the Team" series, to our Leesburg preseason Boot Camps, there is something for everyone! Now in our 9th year! Our field hockey camps are the only local camps with ONLY college coaches. We combine high level instruction with our "Play Beyond the Game" character building lunches. Options for beginners up to High Performance for college hopefuls. 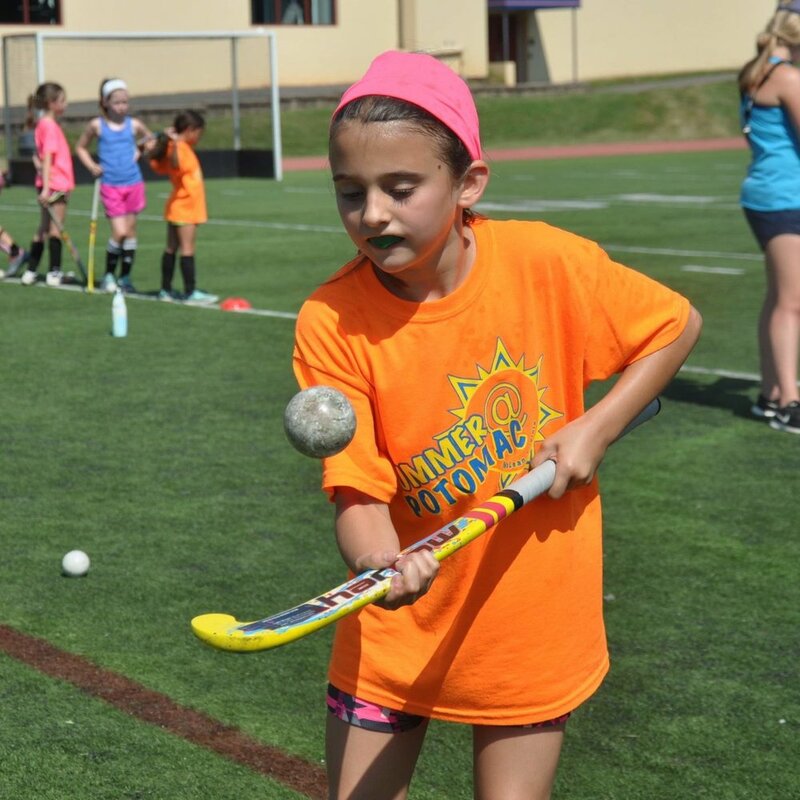 Youth Multi-Sport Camp combines field hockey, soccer, and lacrosse with our "Play Beyond the Game" leadership sessions, tailored to younger players. There are 5 weeks starting the last week of June. Come to one, two or all! Thanks to our partnership with the Summer @ Potomac, busing to and from camp and daily pool time is included. Our inaugural program in 2018 received such positive feedback we are excited to offer it again this summer! Our "Make Your Team" Series is a blend between development and summer league so that we can teach through game-like situations so that our athlete will be ready for Fall Season tryouts at their school! For 6th-10th graders only.